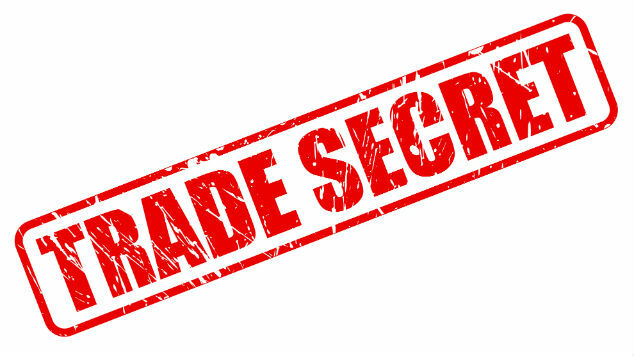 How should employers prepare for the EU Trade Secrets Directive? The new draft EU Trade Secrets Directive aims to clarify what is and is not a trade secret, but will the proposed rules prevent whistleblowers disclosing commercially damaging information? David Whincup looks at what steps UK employers should take in advance of the Directive becoming law. The problem is compounded for businesses with operations across the European Union (EU), since each member country’s jurisdiction has veered off in different directions in this respect, sometimes by a degree or two but some much more sharply. This means that what is protectable in trade secret terms in one EU country might not be so in another. In fact, a study by the EU Commission found that protection for businesses across Europe varied to such an extent that some employers were woefully unprotected. Concerns that this could be off-putting to external investors, leaving the EU at a competitive disadvantage, led to the Commission proposing a Trade Secrets Directive in 2013. The EU hopes that by creating a minimum level of protection across its jurisdiction, greater innovation and investment will ensue. To dispel any suggestion at all that the EU moves slowly in key economic affairs, the draft Directive was rushed out at the end of 2015. It therefore seems unlikely that this draft will change much in the process of ratification by the European Parliament. While it is fair to say that the Directive has clarified a number of points, member states may not be so pleased at the seemingly very limited chance to renegotiate those areas where ambiguity remains. Both employers and future investors in the EU are likely to be grateful for a standard definition of what is, and what is not, a trade secret. While this definition should make it easier for employers to protect their trade secrets, point (c) makes it clear that this Directive does not place the burden of protecting the secret entirely on the side of the employee. The employer must be able to demonstrate that it has taken proper care of the information in the first instance. What impact will the EU Trade Secrets Directive have on whistleblowing? In other areas, member states might have wished for further clarification. Notably, for example, the impact of the Directive will not extend to whistleblowing policies where the use or disclosure of the trade secret was carried out “for revealing a misconduct, wrongdoing or illegal activity, provided that the [employee] acted for the purpose of protecting the general public interest”. Of course, the question of what is in the general public interest obviously very much depends on your views of, say, animal experimentation, nuclear power or GM crops. As it is extremely difficult to prove bad faith in the discloser’s purpose, this will give employers little comfort in relation to the sanctity of their information. This is further compounded by the fact that there is no requirement in the draft Directive that your belief that a disclosure would be in the public interest is in any way reasonable. Some comfort will be brought to employers by the fact the Directive seems to limit protections for whistleblowers to where there is proven wrongdoing or misconduct, rather than where the discloser merely believes there to be so. UK employers, however, should not rely on this caveat; it is unlikely that this absolute objective test of wrongdoing will survive the translation into UK legislation. Will new legislation stop employees taking secrets to new employers? Employees who leave a business to begin a new job also highlight an area of the Directive where ambiguity remains. The draft says that these employees will not be prevented from using “experience and skills honestly acquired in the normal course of their employment”. Just as “in the public interest” may be a contentious phrase, “honestly acquired” may pose similar problems for a court. However, this issue is not insurmountable. As long as “experience and skills” is not extended to cover knowledge and information, this does little more than reflect the current UK position in relation to later use of tricks of the trade as opposed to confidential or proprietary information. Happily, perhaps with a view to ensuring that potential investors know the EU is taking this matter seriously, the draft does state that relevant enforcement hearings may take place in private. This will mitigate the fears of some who shy away from litigation believing that in the course of court proceedings they may be forced to disclose in a public forum the very secret they are trying to maintain. It should also leave those who wrongfully disclose information in no doubt that court proceedings are a very real possibility, thus strengthening the competitive edge of the EU in terms of attractiveness to global investment. It would be unwise to assume, even with the introductory caveat, that this draft will be entirely amendment-free by the time it is delivered to member states as law. However, knowing that changes are likely to be few and far between does give some indication of what the next steps should be for UK employers. For many, the first step will be creating a process that clearly identifies what their trade secrets are, in accordance with the new definition. UK employers will have to create a policy and surrounding warnings and notices that are robust enough to demonstrate to the court that reasonable effort was made to protect the secret internally. Additionally, the detail of each employee’s role will need to be understood by bosses if they are to take proper steps to be sure that a trade secret does not fall within that employee’s “experience and skills” should he/she move on. It is hoped by the EU that any cost incurred by employers in these steps will be offset by the long-term competitive edge that businesses gain. It remains to be seen if the UK business community feels the same way. Current expectations are that the European Parliament will vote on the draft in March 2016. Assuming it is approved by the Parliament and the Council, the Directive will be published in the EU Official Journal and come into force 20 days later. Following ratification, member states will get two years in which to implement the new Directive domestically. David Whincup is labour and employment partner at Squire Patton Boggs.